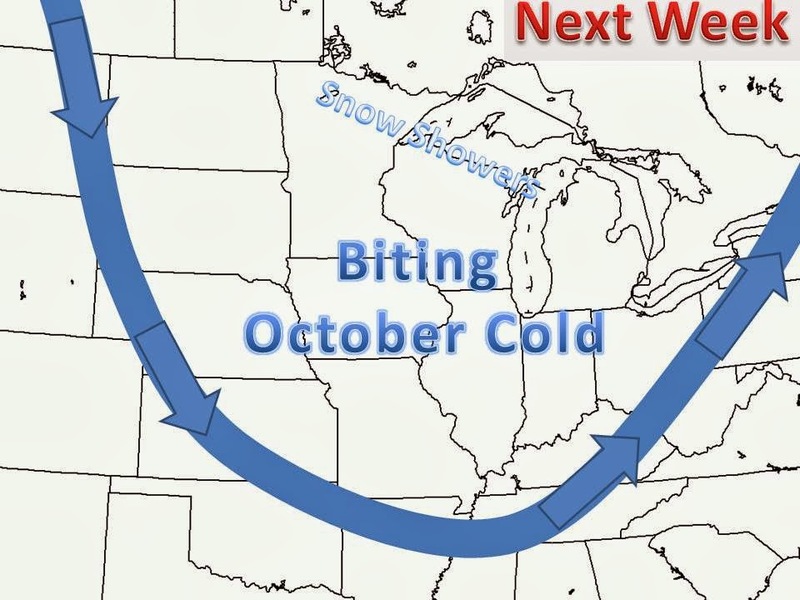 Here comes the coldest air of the season early next week. 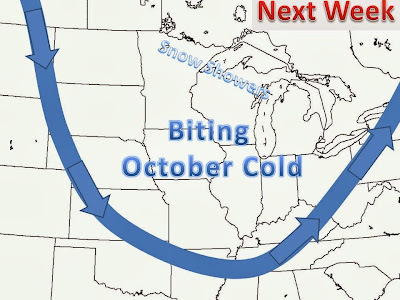 A Massive trough will form in the jet stream ushering in some of Canada's cold air (see map below). Along with the cold air, man small disturbances will rotate into the upper Midwest and bring some chances for light snow, with some accumulation. The 12z GFS (American Model) is putting down some accumulations, see map below. The totals are overdone, but can give a general idea of who had the best chance of accumulations.